Evercore’s two chairmen are an enviable problem. Wooing former Goldman Sachs partner John Weinberg is a coup for the $2.9 billion advisory firm. Making him executive chairman, though, muddies governance and creates top-heavy management. Weinberg will take on the title held until now by Roger Altman, who is staying on in the newly created role of senior chairman. Evercore’s founder will also continue to advise clients. Meanwhile, Ralph Schlosstein remains chief executive, meaning Evercore will have three top managers responsible for dealing with both clients and company strategy. Weinberg will also become chairman of the board, where his task of representing shareholders may create a conflict with his day-to-day job of bringing in deals. Though keeping the chairman and CEO roles separate is a plus, his arrival means there will be three insiders on what will become a 10-person board. These ought to be manageable issues. After all, advising on mergers and acquisitions is as much about personalities as finance; turmoil at the top of an advisory firm is simply bad for business. Altman, Schlosstein and Weinberg will not want to risk the firm’s current performance. Evercore’s stock is the best performing of its peers, up 19 percent this year. Advisory revenue grew by one-third in the first nine months of 2016, outpacing the competition. Goldman’s M&A income fell almost 14 percent over the same period. The hope is that Weinberg, who spent three decades at Goldman before retiring last year, will help propel Evercore even further. Top U.S. companies including General Electric, Ford and Visa have turned to him for advice over the years. And his family pedigree is second to none. His grandfather Sidney Weinberg ran Goldman for almost 40 years until 1969 and was dubbed “Mr. Wall Street.” His father and uncle both occupied senior positions at the firm, as did his cousin Peter, who a decade ago set up the Perella Weinberg boutique. Rivals can only wish they had to deal with the dilemma of squeezing John Weinberg into the corporate hierarchy. 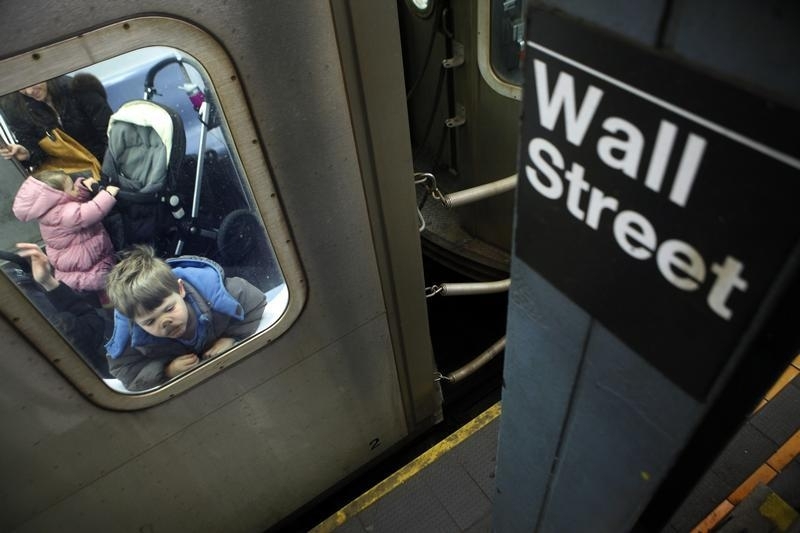 A boy presses his face against the glass of a subway car at the Wall Street subway in New York March 25, 2009. Evercore has hired former Goldman Sachs partner John Weinberg as executive chairman and chairman of the board. Roger Altman, the founder and currently executive chairman, will become senior chairman. Ralph Schlosstein remains chief executive. Weinberg spent 32 years at Goldman, serving as co-head of global investment banking from 2002 until 2014. He left in October 2015. He is the grandson of Sidney Weinberg, Goldman's top partner from 1930 to 1969.